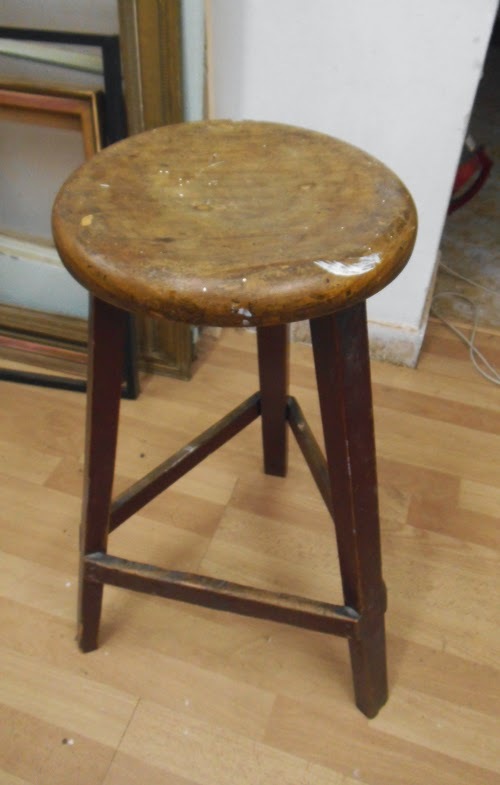 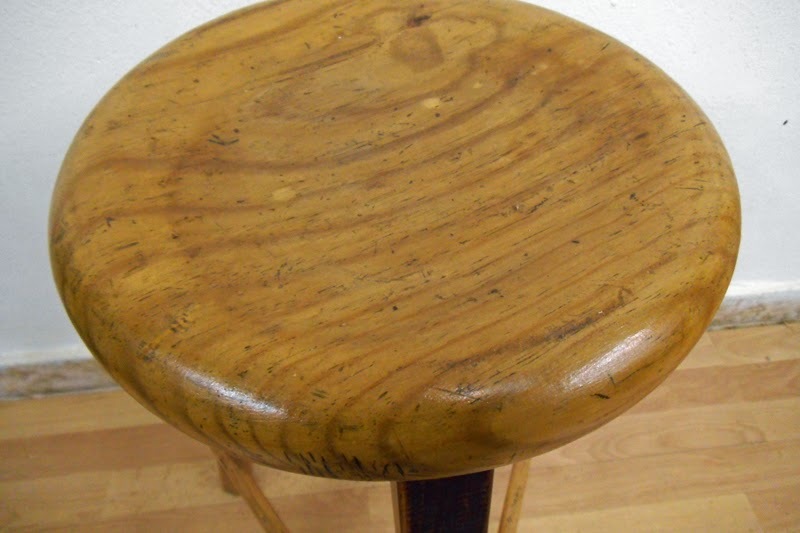 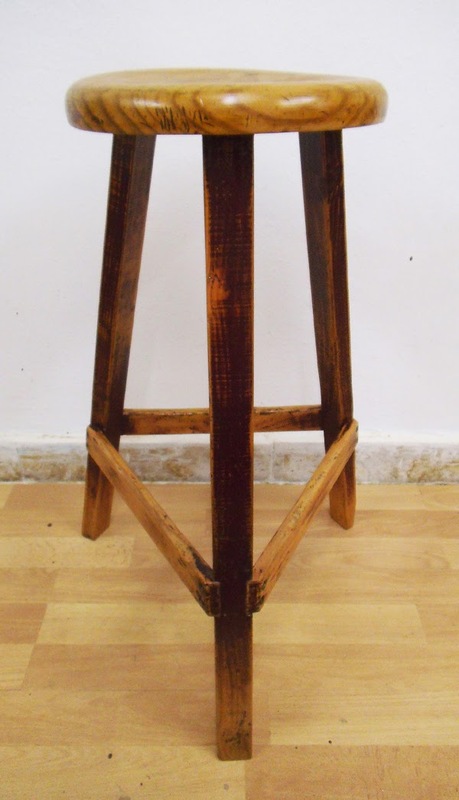 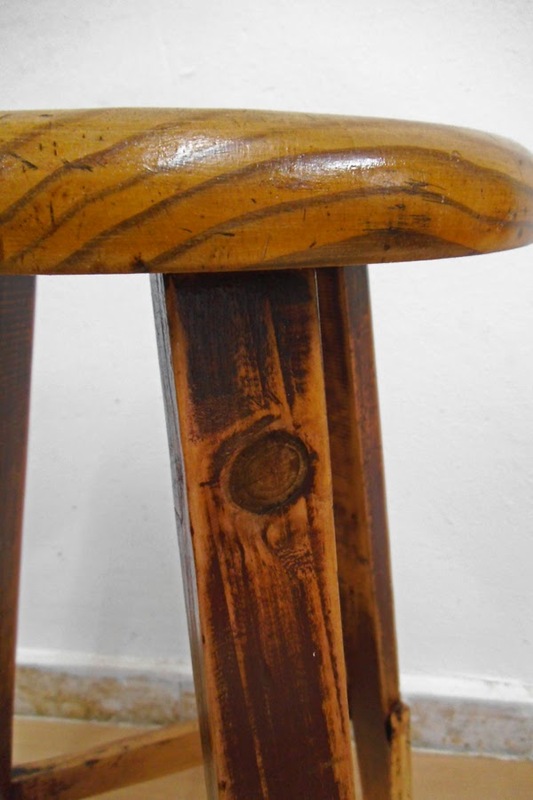 A high stool from the first decades of the 20th Century, in solid pine wood. 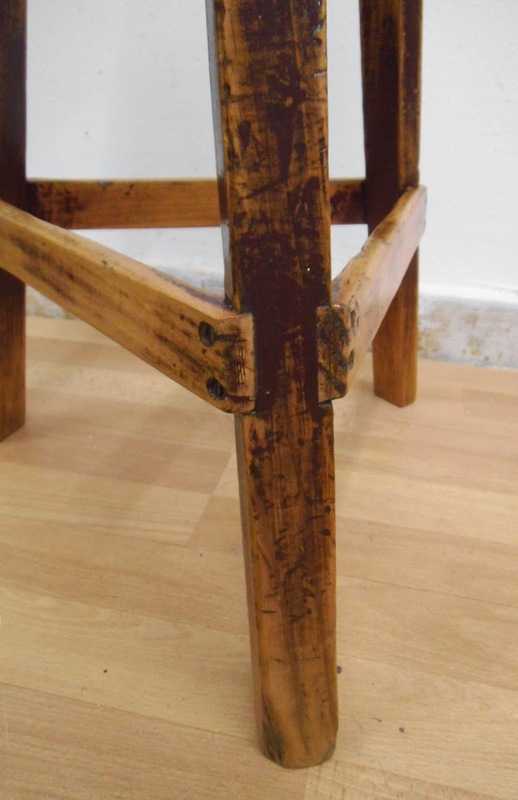 I reinforced the structure, sanded the seat clean and distressed the original deep burgundy paint from the legs. 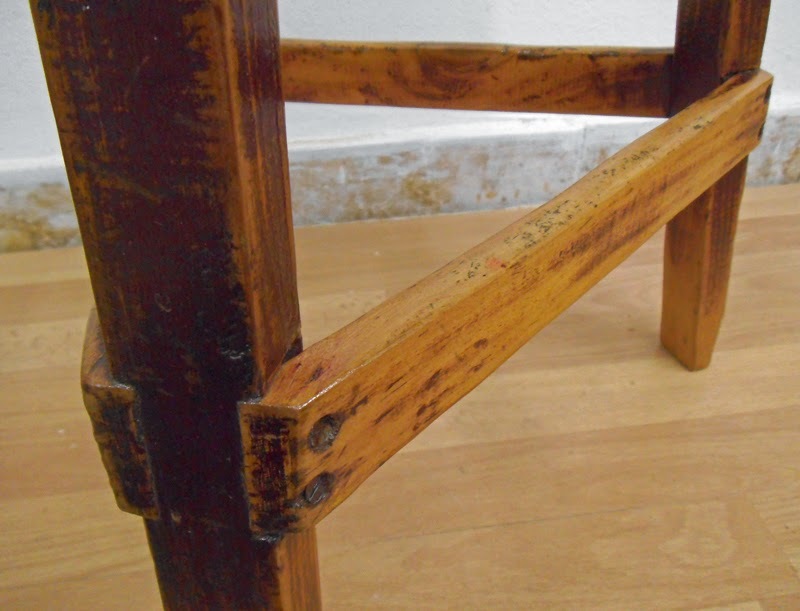 The whole piece is varnished and polished, for a smooth satin touch. 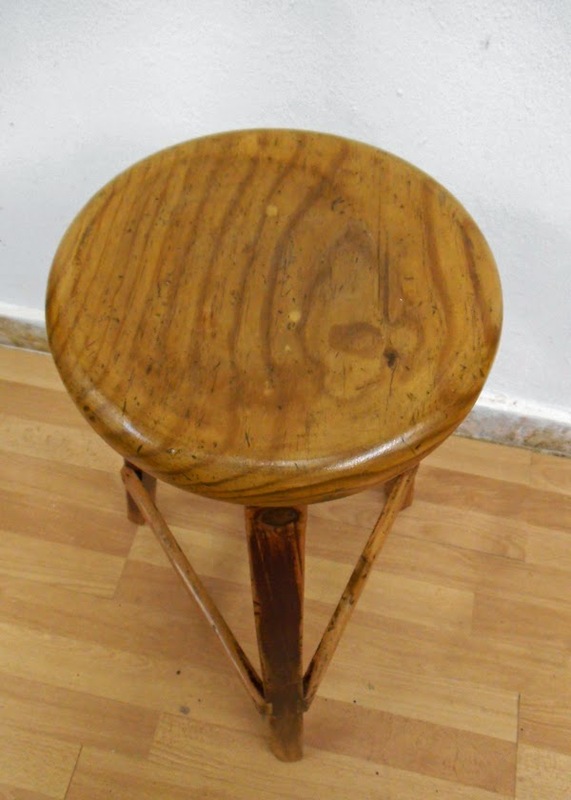 Measures: seat diameter 28cm, height 66cm. 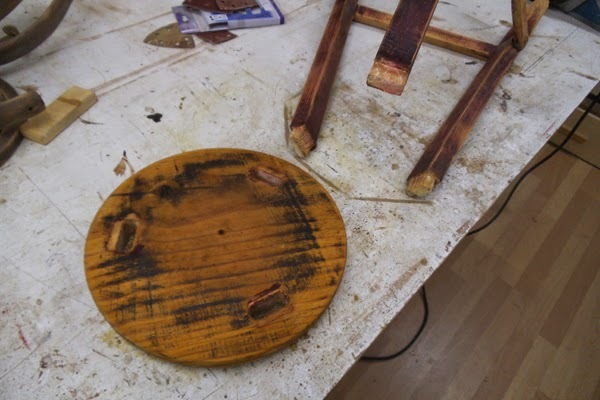 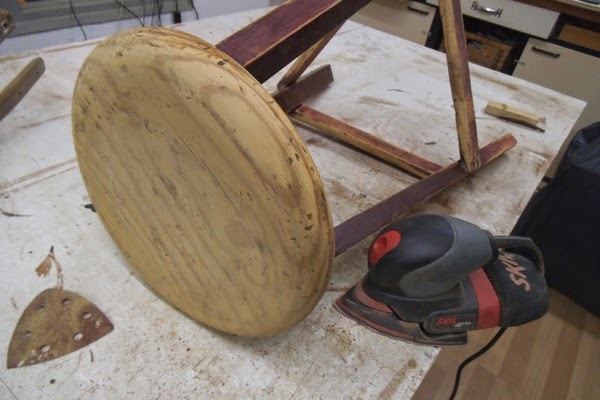 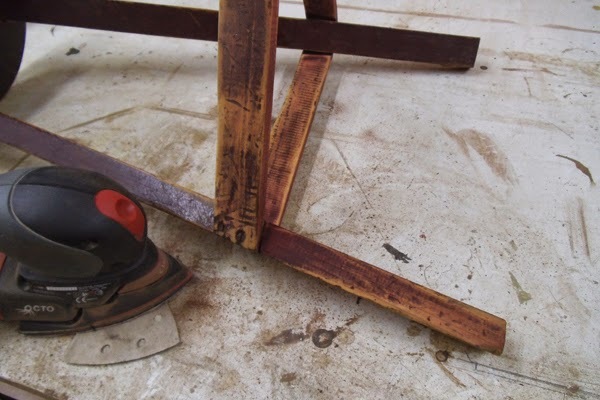 A few pictures taken during the works: The stool in its original state - sanding the seat, distressing the legs and reinforcing the structure.